If you'd like to order more mosaics with a differnet source and different size then please simply click on the 'Add' Button above and we'll add a whole new configuration to your order! What images would you like your mosaic to be made out of? We can source thousands of images for you, using your specific keywords such as ‘cars’ or ‘sunset’ or we can take the screenshots of your favourite movie, maybe you’re an x-men fan? Of course you can also supply your own images! We'll send you more detailed instructions via email but images can be provided in several methods. You can upload your photos via our online upload portal or you can post your images to us on DVD or usb memory stick. You’ve chosen for us to use frames from your favourite movie for your mosaic so please write your movie title here. For copywrite purposes choosing this option declares that you have a copy of the movie. You’ve chosen for us to source images for your mosaic so please write your keywords here. We’ll send our minions out into the ether to source tens of thousands of images just for you and turn them into beautiful artwork just for you! How big would you like your mosaic’s to be? The larger the image size the larger you will be able to print your mosaic. For post-cards all the way up to A4 we recommend Full HD but for posters or the background of a 4k TV you might want to go larger! The more mosaics you choose from the same source, the cheaper it will be. We spend time filtering out the thousands of photos we use to create your mosaic so once that is complete, we can off you two, five or even ten mosaics at a cheaper price. 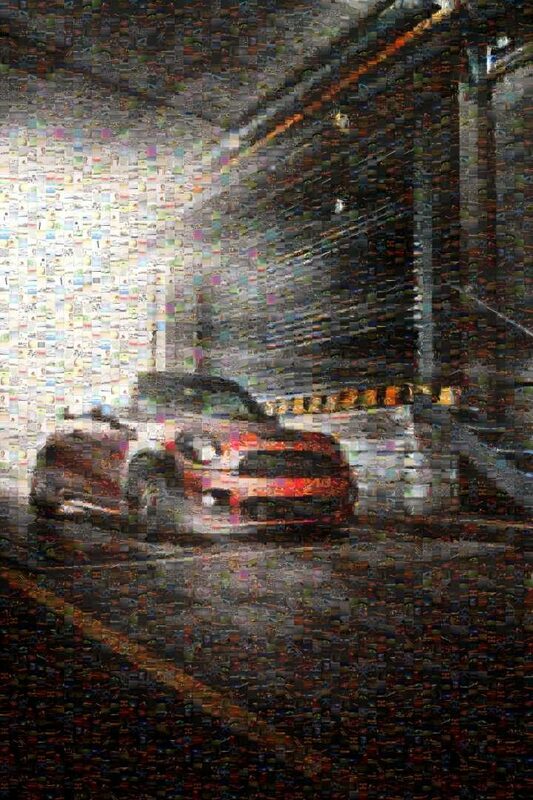 We can make your subject stand out by lifting them from the background creating a truly spectacular mosaic! Click on the example here. Sillouettes take time so there is an extra £20 charge for each one, but we think it's worth it!